Last Saturday, my friend Emily and I spent the afternoon and evening making French macarons. This was our first attempt at the delicious, but delicate almond sandwich cookie. We made four different kinds: classic almond with vanilla buttercream filling, raspberry with raspberry jam filling, chocolate with chocolate ganache filling, and pistachio with orange cream filling. They all tasted so good I could not pick a favorite. While the flavor was amazing, the presentation was somewhat mediocre. Making perfectly beautiful macaroons is hard to do! Our best batch was the first set of cookies, so we definitely had a little beginner’s luck. • It’s tough to find recipes online. Reliable recipe resources, like Food & Wine and Epicurious, didn’t have very many macaron recipes to choose from. We used recipes from Martha Stewart’s cookie-only special holiday magazine. However, I could not find these recipes on her website; they are only in the magazine. • Don’t use the recipes found in the book I Heart Macaroons, but do be inspired by the photos and flavor combinations, and follow some of the tips. I read the recipes and found them hard to follow and many steps and pointers did not make sense. Apparently, the cookbook was directly translated from Japanese to English without being edited by an English-speaking recipe tester. 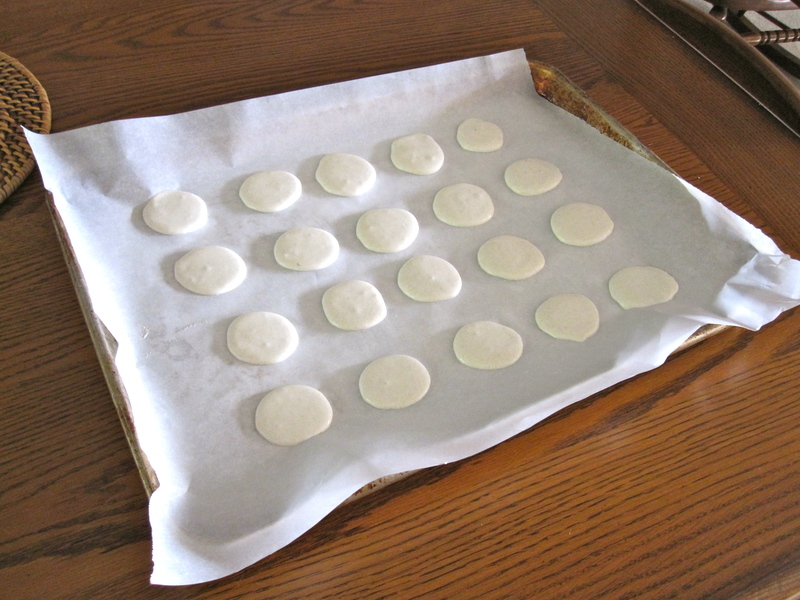 • Draw 1-inch circles on parchment paper before piping the macaron batter. This ensures that most of the cookies are the same size. • Pay attention to each and every step! Throughout the cooking process, the oven’s temperature varies. 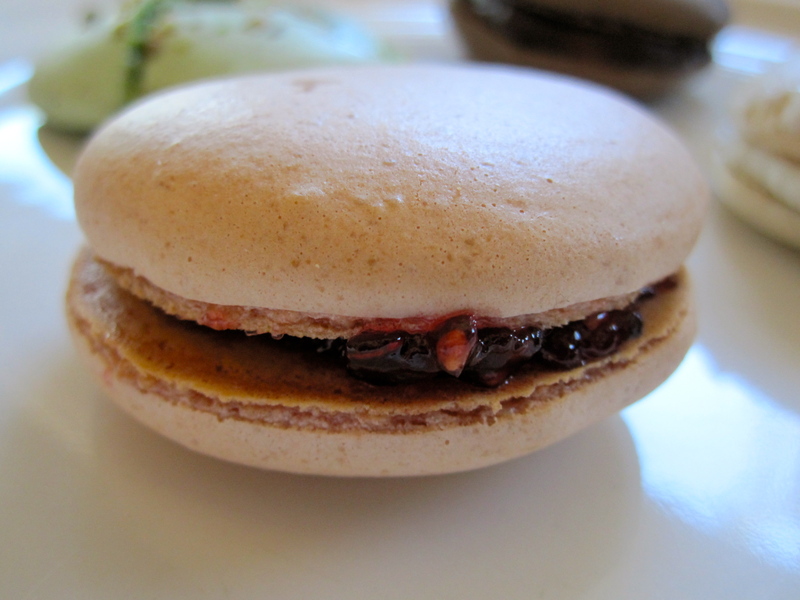 When making our final batch, I was tired and forgot to lower the oven’s temperature before placing the macarons inside. We caught the mistake before it was too late, but the resulting macarons were already cracked. • Having two ovens is a huge plus! 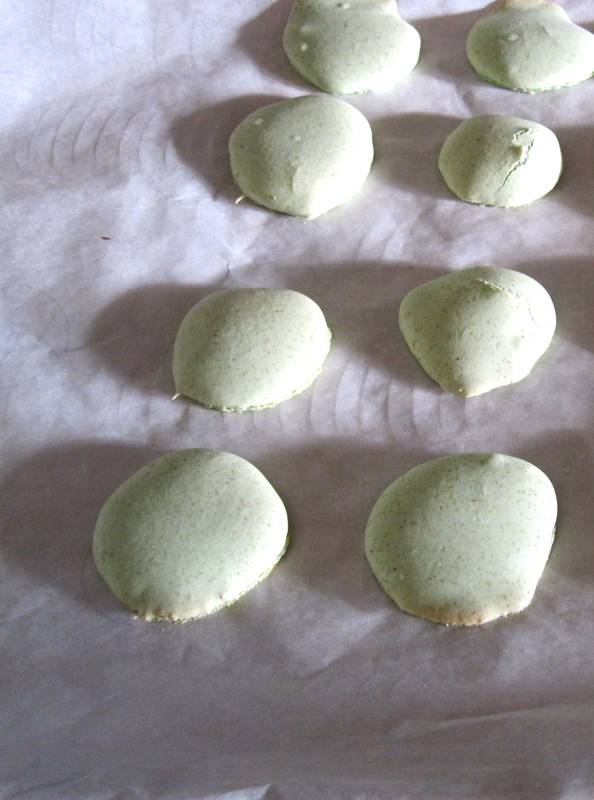 According to Martha’s recipe, when baking French macarons, only one cookie sheet at a time should go in the oven. • I wouldn’t recommend French macarons for the novice home cook. This is definitely advanced cookie making! 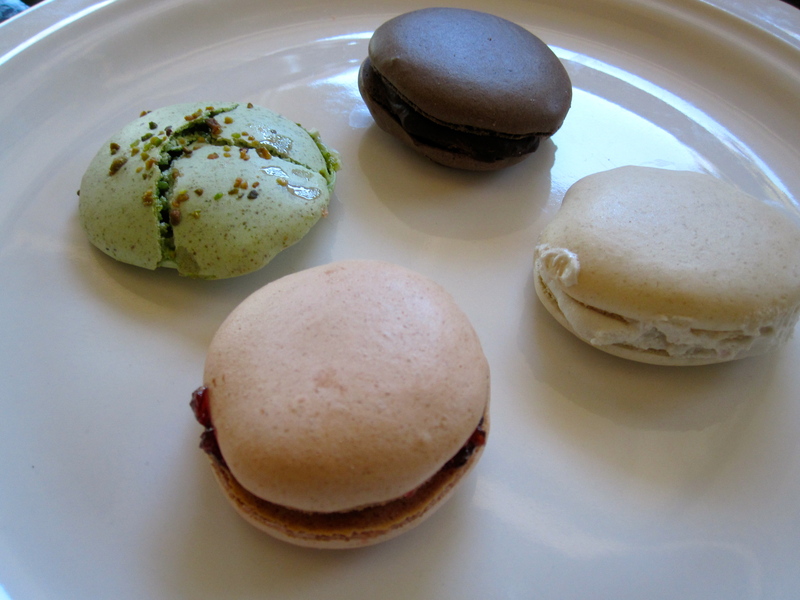 • Before you start, be sure you have the necessary tools and gadgets to make French macarons. You need a food processor, standing or hand mixer with a whisk attachment, piping bag, and fine mesh sieve. • Almond flour is expensive! No wonder macarons are so pricy when you purchase them at a bakery: A small bag of almond flour is $12.